Our clients trust us for their on-time delivery and professional customer service. 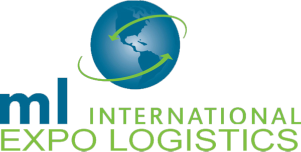 "Telos Systems has worked with ML International as our exclusive handler of all tradeshow freight in the US and abroad for over 10 years. In tradeshow and event coordination, the last thing you can afford is late arrival of equipment. Whether it is a show in Las Vegas, India, Singapore, Dubai or Amsterdam, my freight arrives on time and without issue. Whether we ship one box or 50 pallets, ML International continues to provide exceptional service." "We have worked with ML International for over 7 years in many Countries including Amsterdam, Singapore, Dubai, India, Brazil, Las Vegas, and all over the USA. Jampro attends over 10 major tradeshows in a year and use ML International. Jampro switched over to using ML International many years ago due to Marks persistence and him not give up visiting our booth until he got our business! Now we use ML International for all our tradeshow freight. They are very reliable-we have never had late freight and the service is outstanding! I can call Mark or his team anytime at the show and ask for help from needing tape to unloading my equipment and they are always happy to help. If anybody ask-I always recommend ML International for show freight." "I have been utilizing the services of ML International for the past four years and, based on the superior service we have received, I have never considered sourcing another shipping service. I have found the staff at ML to be very responsive, helpful and understanding of our needs and timelines. Our international shipments are continually delivered on time with return service effortless and timely as well. I highly recommend ML International for any of your shipping needs." "Aviat Networks has used ML International for 3-1/2 years for all of our international tradeshow and event shipping. With our previous vendor, on two occasions they neglected to get tradeshow equipment to shows on time, and our sales people spent the first day of the show standing in an empty space. We were determined to find a vendor who understood that tradeshow shipments must arrive on time. ML has shipped our gear all over the world – Bahrain, Egypt, France, Germany, Kenya, Malaysia, Netherlands, Nigeria, Qatar, Scotland, Senegal, Singapore, South Africa, Spain, Trinidad, and Vietnam – and they have never let us down. Even complicated shipments with multiple pickups and drop-offs have gone smoothly. Overall, Aviat Networks has been very happy with ML International and we recommend them highly." "Getting our company and products in front of our potential customers is key to our business success. We rely heavily on our tradeshow shipments to arrive onsite, on time, and in good condition. We've tried everything from renting our own trucks to hiring a giant in the shipping industry. However, the best thing that we've done is to hire ML International. My personal experience with ML International has been with our two largest shows' - NAB in Las Vegas and IBC in Amsterdam. For both of these shows, Mark Lopata has taken personal responsibility for our equipment and display shipment. He has been onsite to ensure that our shipment arrives on time, was there to assist with any issues that might have occurred along the way, and was there at the end of the show to ensure that the shipment gets back safely. Our shipments have received the same quality attention at smaller shows where it hasn't been feasible for Mark to be onsite. Hiring Mark Lopata and ML International to do what they do best has allowed us to do what we do best. It's been a great partnership."